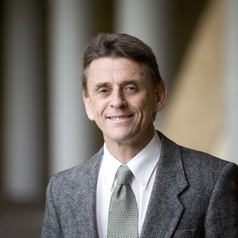 Professor C John Taylor is a Professor in the School of Taxation and Business Law (Atax) in the Business School UNSW Sydney. He received a BA, an LL B and an LL M(Hons), and PhD from the University of Sydney and a Grad Cert in Higher Education from UNSW. Professor Taylor’s main areas of research have been: capital gains tax; corporate – shareholder taxation; taxation treaties; and tax simplification. He has been a contributing author to all editions of Understanding Taxation Law (Lexis Nexis, 2002, 2004, 2009, 2010, 2011, 2012, 2013, 2014, 2015, 2016, 2017, 2018 and 2019). The journals he has published in include: Melbourne University Law Review, British Tax Review, Canadian Tax Journal, Bulletin For International Fiscal Documentation, Australian Tax Forum, E-Journal of Tax Research and Australian Tax Review. John was the Inaugural Honorary Research Fellow of the Taxation Institute of Australia and in that capacity was the principal author of Beyond 4100: A report on measures to combat rising compliance costs through reducing tax law complexity, Taxation Institute of Australia, 2006. From 2006 to 2007 John conducted contract research for the Commonwealth Department of the Treasury on anti avoidance provisions in the income tax. John has been a Visiting Professor/Visiting Scholar at Harvard University, The University of Cambridge, Leiden University, The International Bureau of Fiscal Documentation, The University of British Columbia, The George Washington University, The University of Western Ontario and the Plunkett Centre For Co-operative Studies.